Today: Even if you're a holiday dessert traditionalist, you should still debut this treat from Angela Brown of The Chef's Wife on your cookie and candy tray. It's minty enough to pass as a palate cleanser, and that means more dessert for you. During the holiday season, our home transforms into a mess of sprinkles and flour as we embark on what feels like enjoyably endless hours of cookie making. I’m a bit of a cookie traditionalist, typically whipping up the same recipes year in and year out: chewy chocolate chips, thumbprints filled with tart jams, honey-drenched struffoli, and a unique family recipe for fat, round apricot cookies cloaked in an apricot and coconut glaze. 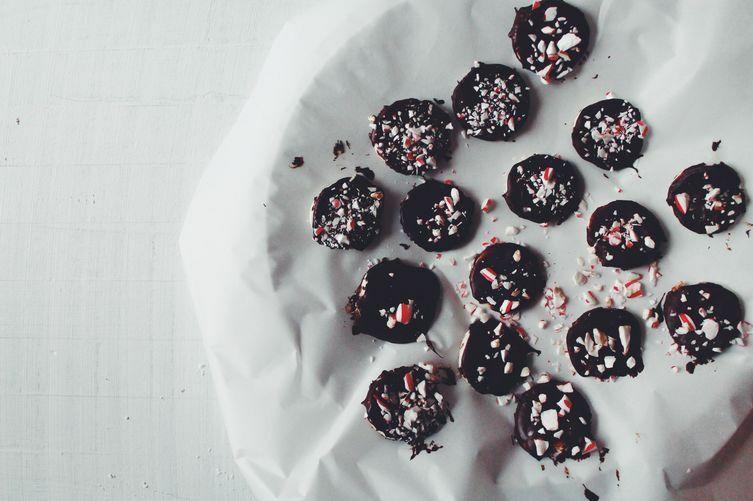 Every holiday, however, I like to add at least one new recipe to the mix to shake things up --like these homemade peppermint patties. 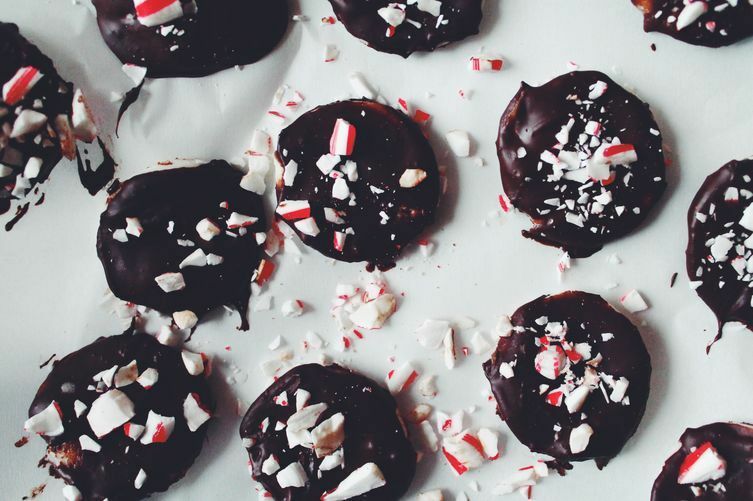 I make my peppermint patties with dark chocolate and a bit more peppermint extract than many recipes typically suggest, which gives them a slightly bitter, extra-minty flavor that serves as a refreshing burst after a long holiday meal. These sugar-coated palate cleansers will prepare you and your guests for a few more rounds of your family’s favorite festive cookies. 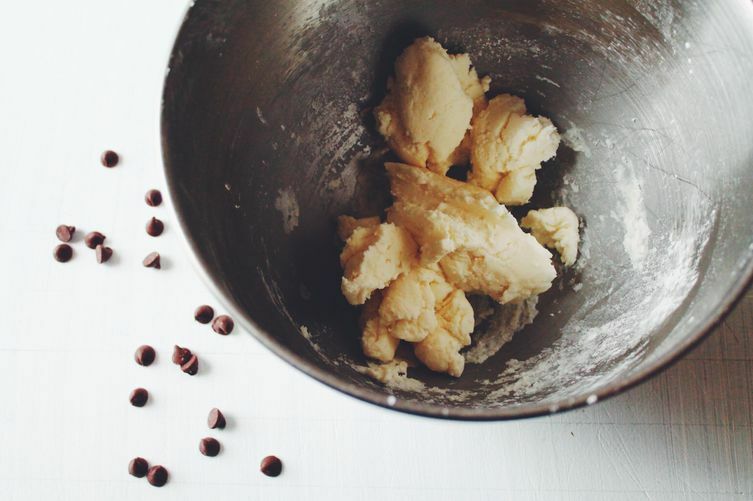 In a mixing bowl, combine the confectioners’ sugar, butter, 2 teaspoons of the peppermint extract, and the half and half and mix on medium speed until a creamy dough forms. Flatten the dough into a disk and wrap in plastic wrap. Place in the freezer for 30 minutes. Meanwhile, line a small baking sheet with parchment. 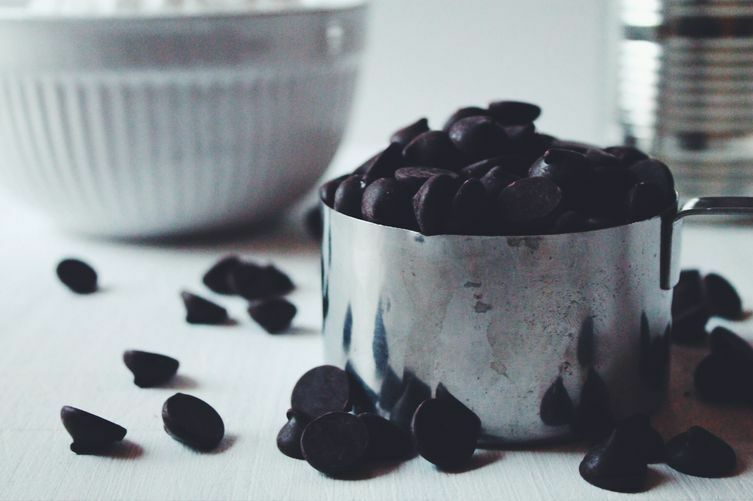 Add the chocolate and the remaining teaspoon of peppermint extract to a small saucepan and heat on low, stirring occasionally to be sure the chocolate does not burn. When the chocolate is fully melted, remove the pan from the heat and set it aside. Sprinkle a clean work surface with additional confectioners’ sugar. Roll out the dough until it is about 1/4-inch thick. Using a 1-inch cookie cutter, cut out as many candy pieces as possible. 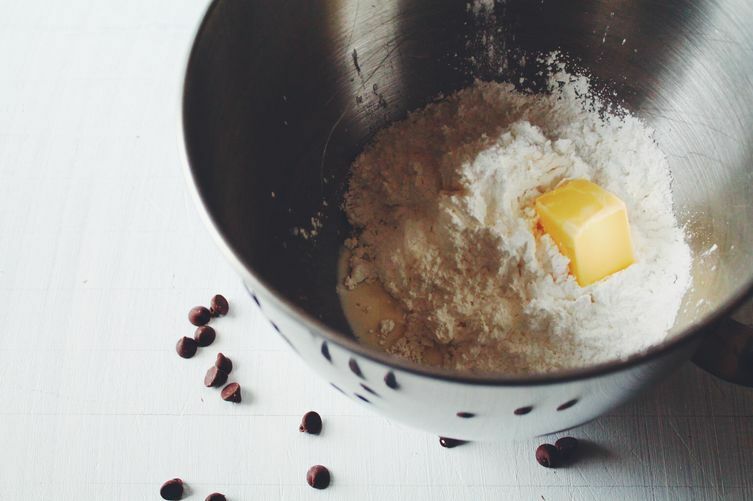 If the dough becomes sticky, dust it with additional confectioners’ sugar or place it back in the freezer to firm up. Dip the patties into the warm chocolate and carefully remove them using a fork. 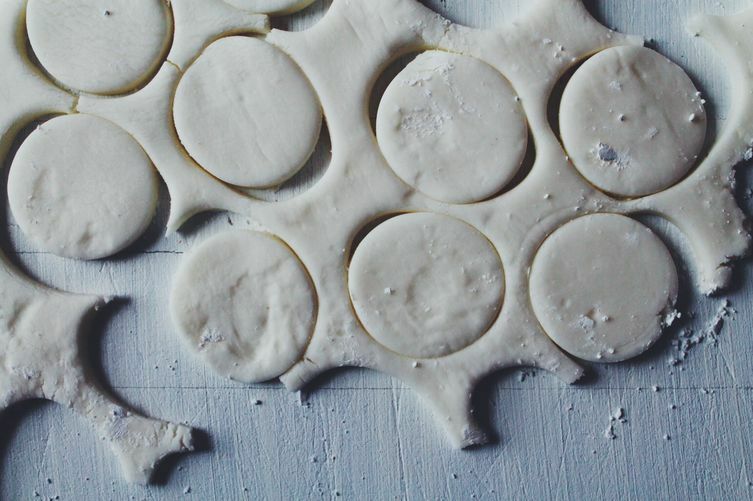 Place the chocolate-covered patties onto the parchment-lined baking sheet. 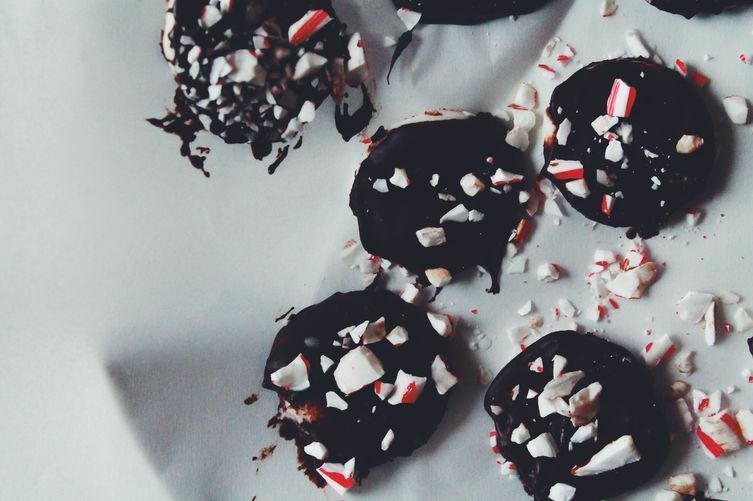 While the chocolate is still warm, sprinkle the patties with the crushed candy canes. When all of the candies are decorated, place the baking sheet into the freezer for at least 20 minutes before serving.